Why See Buddy - The Buddy Holly Story? Buddy Holly burst onto the music scene when he was still a teenager, and changed music forever. One of the most popular shows in musical theatre history, The Buddy Holly Story charts the singer's life and times, from his humble beginnings as a bespectacled unknown in Lubbock, Texas, and through to his all too brief moment in spotlight. Written by Alan Janes, this jubilant jukebox musical takes you right back to the electrifying rock 'n' roll scene of the 1950s, and contains a huge number of Holly's greatest hits (all played live by the band on stage!). Expect to hear 'Peggy Sue,' 'Everyday,' 'That'll be the Day,' 'Rave On,' and many more. Lili-Anne Brown directs this American Blues Theater. 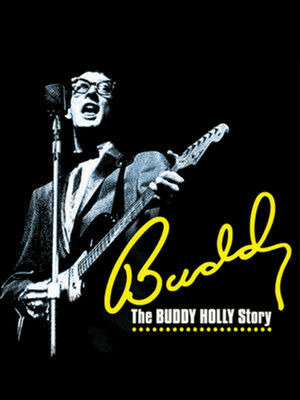 Seen Buddy - The Buddy Holly Story? Loved it? Hated it? Sound good to you? 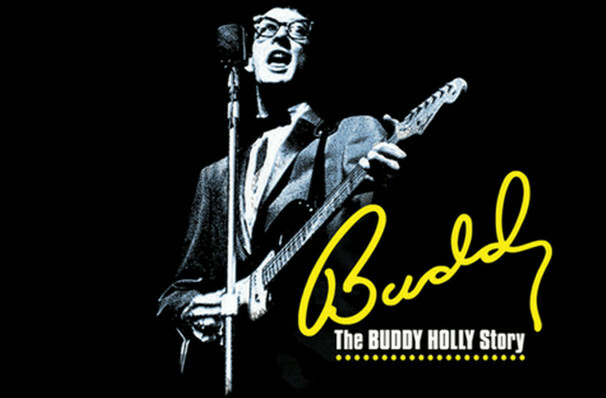 Share this page on social media and let your friends know about Buddy - The Buddy Holly Story at American Blues Theater at Stage 773. Please note: The term American Blues Theater at Stage 773 and/or Buddy - The Buddy Holly Story as well as all associated graphics, logos, and/or other trademarks, tradenames or copyrights are the property of the American Blues Theater at Stage 773 and/or Buddy - The Buddy Holly Story and are used herein for factual descriptive purposes only. We are in no way associated with or authorized by the American Blues Theater at Stage 773 and/or Buddy - The Buddy Holly Story and neither that entity nor any of its affiliates have licensed or endorsed us to sell tickets, goods and or services in conjunction with their events.